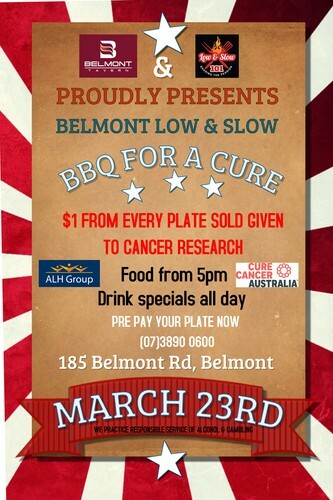 Belmont Tavern is hosting a low and slow BBQ event to raise money for Cure Cancer Australia. 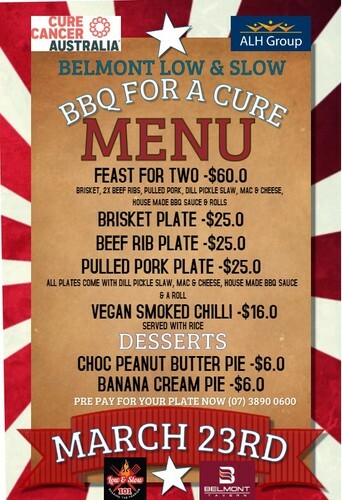 For every plate sold, we will donate $1 to research. Food and drink specials are available all day. Main BBQ starts at 5pm. Proudly sponsored by Low & Slow 101. You can buy tickets for this event at the tavern. This is not a door sales only event but you can buy tickets at the venue.